Booj media gets the story wrong, covers the wrong story, and questions nothing but progress. At some point you just want to throw your hands in the air and dismiss the entire human race as hopelessly delusional. Then you realize you’ve substituted the mass media for the human race. It isn’t the global or American majority that is fatally unhinged, it is the corporate media. Still, small consolation since that is all you ever see, hear, and overhear when you are in a public space or when you turn on the television. 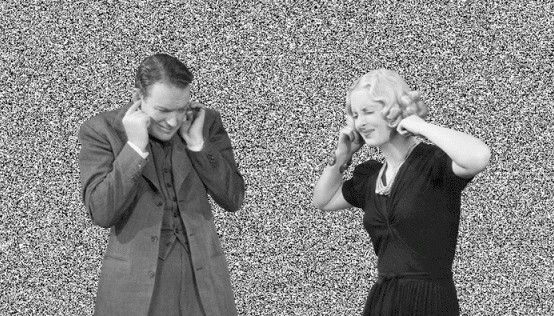 The implacable white noise of Wolf Blitzer, the ever quisitive frown of Anderson Cooper, the foghorn naivete of Sean Hannity, the condescending snark of Rachel Maddow, the troubled brow of Jake Tapper. All this sandwiched between bewildering clips of Donald Trump’s inflated doggerel, Nancy Pelosi affecting indignation, Corey Booker’s badinage with the locals, the wheedling clack of Adam Schiff, Bernie Sanders’ thumping Brooklyn oratory, and so on. It numbs the critical faculties, the echolalia that clatters down the ladder of media outlets from conglomerate to local anchor desks. It bounces off the brains of the populace, largely living alienated lives working jobs they don’t like for less money than they need, squandering emotion and mental acuity solving problems of capital expenditures, or bearing physical burdens, their overtaxed bodies crumbling like deciduous flora in the fall. Waves of anger and anomie wash over them across the long afternoons, but little permanent change is effected by the politicians with their high-decibel bombast. The neoliberal capitalist system has fatally disconnected itself from the concerns of the average American. What’s left is a bourgeois echo chamber that reifies the exploitative ideologies of elite capital: monopoly, war, and social austerity. Those objectives and the pseudo-philosophies that underpin them (read social Darwinism) are reproduced by the handmaidens of capital: the political duopoly, the permanent military-intelligence state, and the mainstream corporate media. The long-awaited Mueller Report finally delivered a fatal blow to the Russiagate phenomenon: not a single American was charged with collusion. Yet for the last two years, the media has trumpeted a literal conspiracy theory that Donald Trump colluded with Russia to throw the already-rigged election of 2016. As is often the case with corporate media, the opposite is true. It was the Clinton campaign that ‘colluded’ with Russians through a Brit to dredge up some baseless fustian against Trump. How many media hours were lost to Russiagate coverage that could have been spent critiquing policy? Editor’s Note: After Mueller, many recalcitrant “Russiagaters” —the bulk of the media estabishment—have been busily moving the goalposts. Here’s Democrat apologist (and newly-minted Monroe Doctrine convert) Bill Maher doing his best to keep this infamous lie afloat. Incurable imbecility and dishonesty the only coins in the mass media realm. This media hysteria represented the convergence of the three previously mentioned elements of bourgeois society (the duopoly, the state, and the media). First, the Russian meddling and Trump collusion narrative was created as an attempt to rationalize away the Democrats historic failure in November of 2016 (and Clinton’s corruption of the primaries prior to that). It was a failure thirty years in the making. As the Democratic Party untethered itself from labor and through avarice hitched itself to a neoliberal program itself designed to undermine labor, it cast the seeds that would one day result in a flailing demagogue trumping them at the polls. Second, the narrative served a special purpose for the military-intelligence communities, which sought to handcuff Trump from his rhetorical hints that he might roll back American imperialism. To that end, the neo-McCarthyism has been a great success. The president is increasingly aggressive in his foreign policy, particularly against Moscow, even though he was never quite the isolationist he sometimes pretended to be on the campaign trail. Third, the narrative was both sensational and dependent on superficial and disingenuous readings of the Trump campaign and social media activity before, during, and after the election. This proved to be an extremely profitable story for the press to promote. How often do presidential treason narratives find their way into the newsroom, even if transparently specious? When has the counterfactual ever shuttered a revenue stream? Besides, capitalist media will always default to sensationalism over, say, policy nuance, simply because it is more profitable, just as it will favor the superficial over depth reportage, also because it is more profitable. The Democrats’ massive betrayal and manufactured Trumpian obsessions have reversed the political poles, making some rightwingers sound like Walter Cronkite. Here’s Fox’s Tucker Carlson demolishing Adam Schiff obvious lies, a job the liberal punditocracy would not touch. In the end, the opportunist party of pseudo-liberals, the imperialist state, and the capitalist media all found common cause in a base conspiracy that accomplished nearly all of their objectives, while also serving to silence progressive voices that oppose all three institutions. And aside from border controversies, Russiagate has pushed policy to the fringes of the screen, a favorable development for all parties involved. There will be no reckoning for anyone who dissimulated or deceived on behalf of the Democrats, the deep state, or their particular news channel. None whatsoever. Aside from the generational spectacle of something like Russiagate, the quotidian political pantomime now functions like clockwork. Here’s an example: As Democracy at Work’s Richard Wolff recently raged in one of his more animated videos, President Trump, going against his campaign promise not to touch Medicare, has recommended a new budget that slashes trillions from Medicaid and billions from Medicare, Social Security, food stamps, and other social programs. Predictably, he also asks for an extra $50 billion for the thoroughly unaccountable and wantonly extravagant Pentagon, which had remarkably only asked for an extra $30 billion above its record-setting budget of this year. Wolff spelled out precisely what will happen next: The Republicans propose something obscene, the Democrats respond with something less obscene but which still satisfies the bottomless greed of the defense industry, and the two parties come to an agreement that satisfies the Pentagon. The Republicans will be happy to have positioned themselves as warmongering berserkers who value nothing so much as profitable violence, while the Democrats will tell their delusional base that they have bravely battled the vulgar rightwing degenerates and negotiated back the horrifying largesse of the Military Industrial Complex (MIC), while still keeping us safe from the myriad phantoms of western Orientalism. Congress will hurl a giant piece of dripping flesh into the seething maw of the Cyclopean MIC. Philistines of both sides of the aisle will then parade with puffed chests before their sarcophagus of fake patriots and crisis junkies. And crucially, the press will report all this with a straight face. 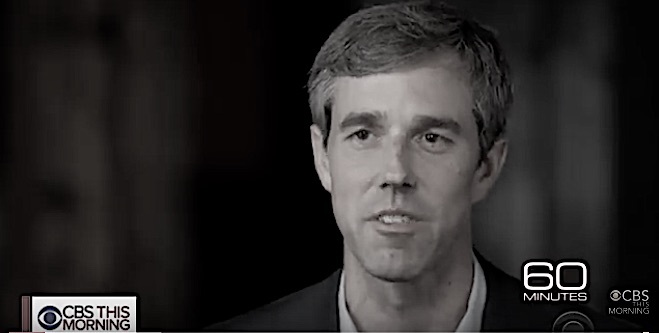 Neo-liberal champion O’Rourke: Some are already calling him Kennedyesque. “The media covers this naive charlatan as though he was a serious changemaker in a society where only vapid reformism is permitted.” Consistency, honesty and accountability not required: Only last year he solemnly declared he would not run for president in 2020. Yet should these ‘reform from within’ politicians actually decide to challenge the venality of the system in which they voluntarily immerse themselves, they will be instantly savaged by the media, playing its role as a watchdog for the status quo. Ilhan Omar was ferociously attacked by the vulpine ‘liberal’ media on false charges of anti-Semitism. This has been an immensely useful tool of center-right entities looking to discredit progressives, part of a vast identity politics arsenal now wielded as a cudgel to whack progressives who forget themselves and utter some banal truth (such as the fact that AIPAC buys policy on Capitol Hill). As Zach Carter ‘microblogged’, the news that Democrats were already looking to primary Omar, “shows that Democratic platitudes like “Elect more women!” and “Listen to Black women!” are completely empty. Ilhan Omar is a Black Muslim woman raising serious issues regarding U.S. foreign policy, and Democrats are rushing to get her out.” If progressives were to use neoliberal tactics like this to manage public perception, they’d instantly label every Bernie Sanders critic as an anti-Semitic reprobate–and they’d keep shouting it at high volumes all the way through the 2020 elections. In keeping with its mandate to neuter all progressive causes that threaten corporate profits, CBS News recently asked whether Sanders could “win support from minorities and women,” despite the fact that he is currently supported by a majority of polled minorities and women. Here the media uses identity politics against a Jewish politician who is an avowed backer of feminism and minority causes. CNN pitches in with rigged polls designed to demonstrate “plummeting” support for Sanders, then send their phalanxes of journos into the mediasphere to disseminate the fake news. A passage from Jane Austen’s novel Mansfield Park reads, “The evening passed with external smoothness, though almost every mind was ruffled; and the music which Sir Thomas called for from his daughters helped to conceal the want of real harmony.” Doesn’t that sound just like the Democratic Party ideal? A bourgeois smoothness that masks underlying class antagonisms and economic destruction that prevail along the horizon of our western reality? Neoliberals want nothing more, really, than some nice rhetorical posturing and comfortable chairs at some remove from the rabble. They have been bought off as a class. The one percent has purchased the ten percent, those who manage ruling class news media and for whom trickle-down is an actuality. Millionaires running interference for billionaires. As one author smartly opined, this is a mannerist goal. Neoliberal Democrats are subordinated to the retrograde dictates of monopoly, imperialism, and social austerity. Any nod to progressive justice is merely gestural. As personas non grata such as Marx and Mao and Lenin and many others have pointed out, nothing substantive will change until the people stage a collective intervention into the ideology of the capitalist state, principally conveyed by the media. Marxist cultural theorist Louis Althusser called the overarching ruling class ideology an Ideological State Apparatus (ISA), driven into the minds of men and women by the awesome array of institutions, from the classroom to the corporation to the church to the Orwellian mass media, whose tentacles reach into the furthest recesses of the mind. Through our now numberless devices we plug into ‘social’ groupthink, like wayward tributaries that enter the mainstream and soon become undifferentiated flows, one from another. Althusser separated the ISA from Repressive State Apparatus (RSA), which involved the police, the military, the carceral state, and so on. But the ISAs are no less repressive, only in a different fashion. They leave no scars, no visible wounds on the consciousness of people, the better to plausibly deny their influence. But their influence is real. At the same time we are perversely admonished to take individual responsibility and to chart our own course to that glimmering future we dream of. It’s no coincidence that we are incessantly roused to agency in the foreground of our lives while we are being quietly programmed in the background. Like an unnoticed background app refresh. There may not be some hoary architect clad in white floating in the heavens, his outsized genius tugging the strings of fate, but there are discrete tendencies that gain momentum as the neoliberal system re-consolidates power. Like an irresistible undertow that wrenches us into out into volumes of whitewater, it’s either submit or die. But death to the mainstream is the only death we’d suffer if we unplugged. More like a rebirth, a rechristening in the company of freethinkers, the shrill pantomime of pundits fading away, swept downstream on a barge of rubbish, the residue of wasted time.